With life-like graphics and deeply immersive gameplay, we're no-doubt spoiled by today's video games; but not even today's most popular titles can match the fun, classic appeal of the games we played growing up. 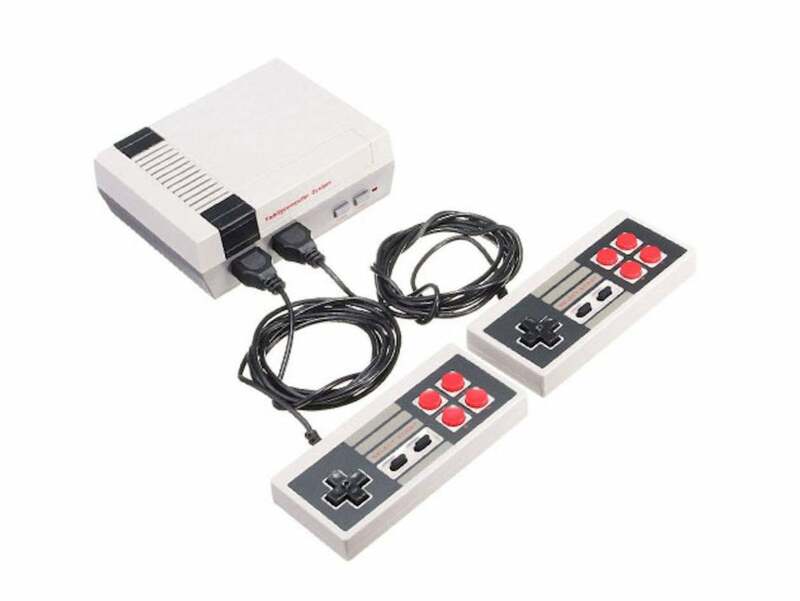 For those of us looking to take a trip down memory lane, this Retro Gaming Console is a perfect pick for the holidays, and you can use code BFSAVE20 to get it for just $35.99, an added savings of 20% off its already reduced price. This retro-inspired system comes with over 600 classic titles already installed. There are absolutely no cartridges you’ll have to deal with, and you won’t have to worry about storage space either. Just plug the unit into an available HDMI port on your television and start playing. The Retro Gaming Console comes with two controllers for multiplayer action and all the accessories you’ll need to get started right away. It’s small and lightweight, so you can easily take it to a friend’s house; and its charming aesthetic will surely attract attention from anyone who sees it. Similar vintage-styled systems can be hard to find and are far more expensive. This console is only $35.99 on Black Friday when you use the code BFSAVE20 at checkout—that's more than 80% off its usual $299.99 retail price. This story, "Black Friday Special: This Retro Gaming Console Is Down To $36 " was originally published by PCWorld.